Firefox: IBM’s Browser of Choice – Should You Follow? This development definitely gives Firefox points in the browser wars. Here’s the thing – if such a group as IBM has publicly announced its browser preference, should we follow suit? I don’t know what browser you’re using, but I have been switching between Firefox and Chrome in the past year. Before that, Firefox was my main choice. I have been having to pull up Chrome because of speed issues (I know Firefox is supposed to be fast but for some reason I have problems with this), but Internet Explorer has been out of the picture for the longest time. 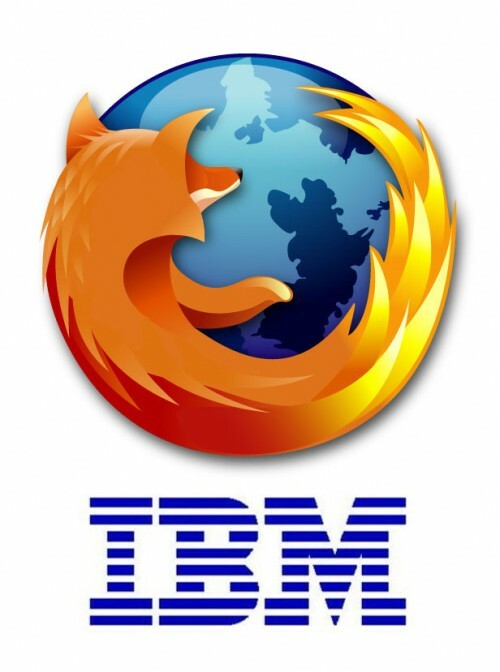 •	Firefox is stunningly standards compliant, and interoperability via open standards is key to IBM’s strategy. •	Firefox is open source and its development schedule is managed by a development community not beholden to one commercial entity. •	Firefox is secure and an international community of experts continues to develop and maintain it. •	Firefox is extensible and can be customized for particular applications and organizations, like IBM. •	Firefox is innovative and has forced the hand of browsers that came before and after it to add and improve speed and function.